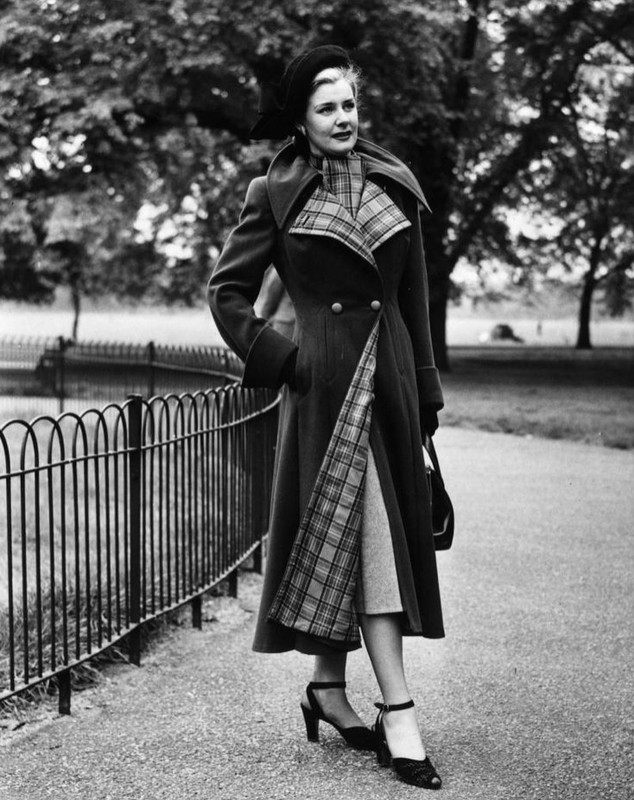 Women’s vintage coats can be a fabulous addition to almost any self-respecting lady’s wardrobe – and why wouldn’t they be? After all, they come in so many intriguing styles in accordance with various iconic eras – from the cocoon and kimono shapes of the 1910s, right through to the short jackets and dusters of the 1980s. However, by their very nature, vintage coats can also vary hugely in their condition. That’s why you’ll want to keep an eye out for some of the below potential issues when purchasing one. It can be easy for the lining of a vintage coat to become gradually ripped over time as a woman repeatedly removes and puts on her coat. Jewellery items such as watches, bracelets and rings, for example, can snag on threads, while the exterior fabric may show visible fraying at the cuffs. Yes, a tailor or seamstress can help to restore the coat’s condition, but such repairs can be expensive and not always easy. Stains can unfortunately rather mar the appearance of a vintage coat, especially if there is more than one on the coat’s exterior – so if that is the case for the item you’ve got your eye on, it might be best to think again about buying it. This applies especially strongly as modern spot treatments aren’t always suitable for delicate aged fabrics. A lot of older clothes can come with a telltale odour that deters many prospective buyers from purchasing them. This is a shame, as it’s not usually as big a problem as is often presumed. Generally speaking, even if the coat you purchase doesn’t smell great in the store, the situation can be remedied back home by, for example, airing the coat outdoors on a dry and sunny day, before – if necessary – placing it in a dryer on a no-heat setting with a couple of fabric softener sheets. Even if the above steps don’t quite eliminate the odour, you’ve always got the option of having the coat deodorised at the dry cleaner. At-home dry cleaning/freshening sheets are available too, but you should bear in mind that any ‘DIY’ cleaning of a used item is very much at your own risk. There are all kinds of other issues that can arise with women’s vintage coats, but which can also often be easily fixed – any loose buttons can be resewn, for instance, while even zippers can sometimes be replaced, depending on their location and function and the coat’s condition. In summary, most of a coat’s hardware can be repaired or replaced, but such work does come at a cost. Are you ready to immerse yourself in the wonderfully and timelessly stylish selection of women’s vintage coats available from an online marketplace that really does only sell genuine vintage items? In that case, you’ll need RETRuly. Take a look now through the items presently being offered by our many professional and diligent sellers, or if you have vintage pieces of your own that you would like to pass on to a loving new home, consider becoming a seller with us yourself.